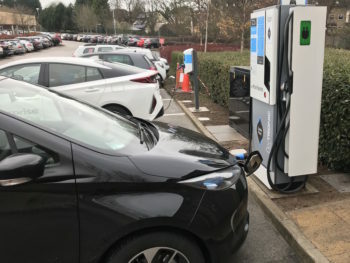 The agreement with GeniePoint owner ChargePoint Services will see its 50-100kW highest specification rapid chargers deployed; the first ones will be in place by the end of next month while 100 are expected to be installed by the end of 2019. Drivers can sign up to the GeniePoint network for free, with no monthly fee; drivers just pay for what they use. The deal comes four months after Tesco announced that it was teaming up with Volkswagen and Pod Point to fit more than 2,400 charging bays at some 600 stores over the next three years.